I have the acquisition disorder and I am part of cult of the new. But there are NO NEW GAMES to buy! I have the acquisition disorder. I am part of cult of the new. I want to buy shiny new games. But I'm facing unprecedented times. There are no new games to buy! 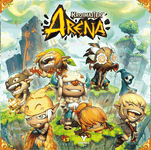 Do you have any games you are currently holding off purchasing as well? This is probably the closest to a BUY for me. I love RPG. I love 3.5ed. This game has been in my shopping cart for the longest time, but I simply cannot click through. I'm so getting this game now! Plus what if I'm type A? Could easily be your favorite game. Or you'll hate it. I mean I'd like to think I'm type B. But that's different when you're playing pen and paper RPG. Even when playing online or single player computer RPG, preference changes. I want to have a game in there. 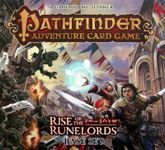 At this point, some reviews make PACG sounds like a repetitive dice rolling until your character dies. I'm worried it may be so. I think for now, I'll have to stick with Descent 2.0 campaign mode for that "RPG" feel. At least Descent 2.0 is a great tactical skirmish game. For now, I'll stick with... Descent 2.0. Rave reviews by Tom Vasel, last year through to this year. Been looking out for a good deck-builder and this looks very interesting. It's Dominion... Plus A BOARD! For now, I'll stick with... Dominion. I've been secretly wishing for a skirmish game with good minis, comes pre-painted, and plays up to 4. Claustrophobia comes close with good pre-painted minis, but it only plays up to 2. And it is not really tactical skirmish. So when Krosmaster comes about I was excited. Right at the bottom of the review where it talks about balance. I love Netrunner! It is arguably one of the best 2 players game I've ever played. However, after all the datapacks, I'm not sure if I can continue. While this is not like Magic (CCG), the LCG doesn't seem to stop. There is no light at the end of the tunnel. I don't play tournament, or competitive. I just do casual Netrunner with my buddies. We build a couple of decks and play. I'm seriously considering ending our purchase with C&C and that's it. For now, I'll stick with... Everything until C&C. I'm not a trekkie (sp?). But I do enjoy Star Trek, both the earlier TV series as well as the latest movies. I do enjoy Star Wars X-Wing. So this has been on the radar for a while. Early reviews are very positive. It seems like I can make room for two different franchise using "similar" systems. 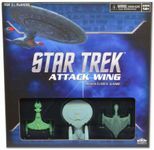 Attack Wing: Better Than X-Wing. For now, I'll stick with... X-Wing. Firefly! Serenity! Plus the strong prior IP, Spartacus. I've been looking out for a strong thematic space exploration/adventure game.. that plays within 2 hours. 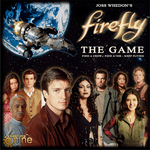 Firefly could have been it! Strong credentials from GF9 with previous Spartacus game. Most GenCon reviews came back poorly. Especially the 3 hours play time. Space. I really like Eclipse. But at the end, Eclipse is more of a Euro than a space adventure game. It seems the search for a good thematic space adventure game that plays in less than 2 hours continues. For now, I'll stick with... Eclipse. A Days of Wonder release! How long has it been since the last DoW release? 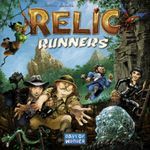 But sadly at first glance, Relic Runner looks like an over-produced mediocre game. I always enjoy Miami Dice because of the different point of views. This review seems to give a very balanced view. When everyone is rating the game, it almost seems like the higher rating is just because of DoW and the chrome. Tom says it's way better than Elfenland. But it is not a very strong game. And "if the components were dull, I won't keep it." For now, I'll stick with... Airline Europe/TTR/Small World. I love Pandemic. But my experience with Forbidden Island has not been good. It's great to hear of this new game which takes Forbidden Island further. Preliminary reviews have been great. The game components are beautiful. And the moving desert plus uncovering of location mechanics looks neat. A better version of Forbidden Island. A weaker version of Pandemic. 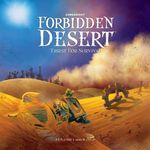 After a few more reviews, it seems that Forbidden Desert is not for me. I'm still intrigued by the mechanics and the beautiful components. But Pandemic with its few expansions probably fill the gap of that simple co-op. For everything harder, I have Robinson Crusoe. So not sure where will Forbidden Desert go. For now, I'll stick with... Pandemic/Robinson Crusoe. You rate BattleLore a 10 and Memoir 44 as a 9.5. Why not try some of the other Commands & Colors series? The Austrian expansion for C&C Napoleonics is supposed to come out this month. Also Samurai Battles: Ninja Attack expansion is coming out if you're interested in a Samurai version of BattleLore. 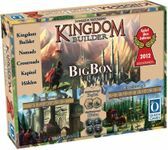 Played Kingdom Builder months ago and really liked it quite a bit. 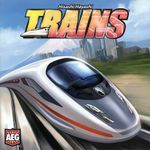 Was ready to pick it up when I did a little research and found out that a Big Box version (that seems like a great deal and contains expansions AND some smaller promos) is coming out. Now I've been waiting on that for several months, maybe it will come out this month like they project.